Pine Hollow Airport is nestled into the foothills southeast of Mt. Hood, in the beautiful North Central section of Oregon. This area is one that is visually stimulating, both on the ground and in the air. 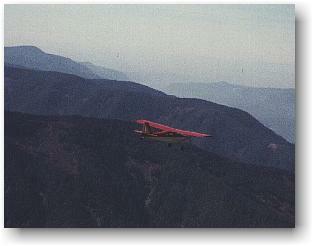 Flying in this area can be challenging at times, because of thermals, and air flow around Mt. Hood. 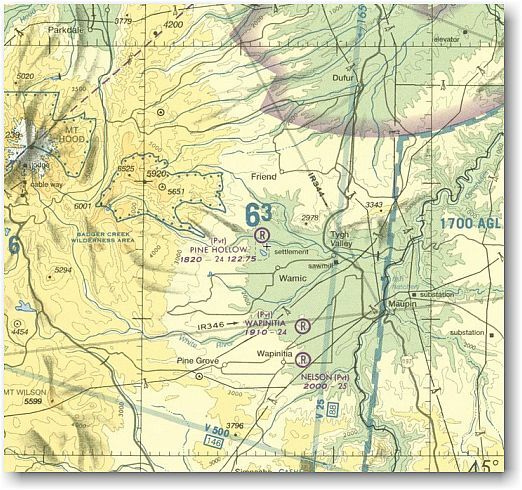 It is a good idea to be familiar with aircraft operations around mountainous terrain. 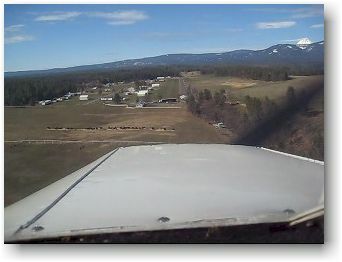 Normal landing traffic is to the West, as shown in this photo of a final approach to Pine Hollow Airport. 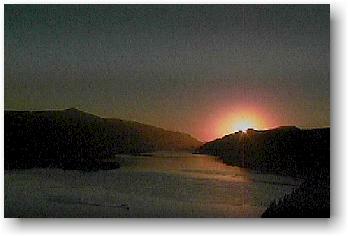 The Columbia Gorge Offers a beautiful passage from the West. Much of the time, moist Pacific air is held to the West side of Mt Hood. 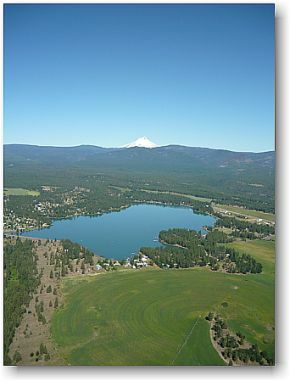 The Dalles and Hood River are the nearest Public Airports to Pine Hollow. Pine Hollow is about 25 miles South of these popular stops in the Columbia Gorge. Pine Hollow Airport is found on the Seattle Sectional. You must call ahead for permission to land. Landing conditions vary throughout the year. In the Winter and Spring, the airstrip turf area may be unusable due to a wet soft surface. It is important that the Pine Hollow Airport rules are followed. Use of the Pine Hollow Airport otherwise is strictly prohibited.